Euthanasia: Dignified Death or Premeditated Murder? At the same time that Orthodox Christians were commemerating Christ's healing of the paralytic, the Swiss were voting to support Zurich' reputation as the euthanasia capital of the world, where people come from other countries to commit suicide. The paralytic waited for thirty-eight years by the sheep's pool to recieve healing, and did recieve it. None of his fellow citizens took the time to help him. What if they had simply decided his case was hopeless, and "euthanized" him? His would not have encountered Christ, and would not have been healed. Thus, we present the following article on how the Orthodox Church views the subject of euthanasia. Euthanasia is the right to a dignified death. The term euthanasia comes from the Greek words that mean literally, a good, or dignified death. It is a conscious act that leads to the supposedly quick and painless death of a terminally ill person, with the intention of stopping his suffering. The first time that euthanasia was introduced in the twentieth century was in fascist Germany. According to information from the Nuremburg trials, from 1939 to 1941, seventy thousand living people were destroyed, categorized as "beings deprived of quality of life." The ideology currently aimed at legalizing euthanasia is not the same as that that of the Nazis. Just the same, euthanasia is talked about not only as applicable to the seriously ill, but also to infants with serious birth defects. This is called "euthanasia of newborns." Also appearing is so-called "social" euthanasia, proceeding from the logic that the costs of treating those sick with long-lasting illnesses requiring expensive medicines are too heavy a financial burden, and the financial means it would take to treat them could be economized and used to treat those who are likely to recover and return to normal working life. Euthanasia is also gaining acceptability in view of an "increasingly aging population," and the rising numbers of aged invalids. In fact, these types of "dignified deaths" are not new. In Sparta, for example, infants born weak or sick were killed. Other primitive cultures had the custom of killing or abandoning the elderly who had become a burden on the family. True, the modern ideology of euthanasia calls upon the aide of the following concepts: mercy toward the patient who "has no future," and fairness toward their families, and even toward society at large. A distinction is made between active and passive euthanasia. Active euthanasia is performed by lethal chemical dosage, administered by a doctor. Passive euthanasia involves the cessation of medical help with the aim of speeding the process of natural death. However, euthanasia is always passive in some respect, if you look at it from the patient's position, and always active from the position of the one administering it. "Dignified" death means the departure from life without pain, without suffering. Furthermore, the destruction of human life under certain circumstances is viewed as beneficial. In 1974, the "Manifesto of euthanasia" was published, signed by more than forty famous people, including Nobel laureates. In it is written, "We maintain that it is immoral to accept or impose suffering. We believe in the value and dignity of the individual, from which proceeds the necessity to allow him the freedom to rationally decide what to do with his own life." In other words, every person has the right to commit suicide. Today, euthanasia exists on the legislative level in the Netherlands, Australia, Belgium, and in the state of Oregon. Switzerland has become the land of "suicide tourism"—last year, the local organization, Dignitas, which assists people wanting to leave this life, assisted fifty suicides. The number of Dignitas members reached 1700, about 950 of them foreigners. 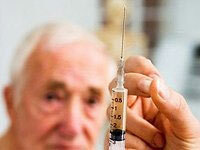 Zurich has is being called the "world capital of euthanasia." There are grounds to suppose that soon other countries will legalize euthanasia. For example, the Supreme Court of Great Britain satisfied the request of a paralyzed woman who wanted her doctors to turn off the artificial pulmonary ventilation machine supporting her life. Accepting death as a "form" of medical treatment (the healing of pain and suffering), could become a serious obstacle on the path of medical knowledge, which is continually stimulated by the "struggle with death." "The struggle against death is essentially the ultimate moral task of medical science and healing," writes I. Siluyanova in her book, Ethics of Healing. Modern Medicine and Orthodoxy. "The constant effort to resolve this ultimate task, regardless of its insolvability, and the consequent struggle against inevitable death, has always inspired society with respect and trust for doctors. Will medicine preserve its social standing when the health care system 'generates' a system to provide death? Aren't doctors who provide 'dignified death' to a patient destined to sharply diminish their own personal dignity by consciously participating in the intentional death of a patient? Liberal ideology tries to depart from the use of the word murder. They even contend that an act which leads to the death of a patient at his request and with his agreement cannot be called murder. But what then can it be called? It is symptomatic that there is not even a word to use to describe such an act. Murder is still murder, and retains the seriousness of a crime against the commandment, thou shalt not kill (Ex. 20:13). But no matter how respectable the mask on euthanasia might be, it was and still is a form of both murder and suicide at once. The social and legal acceptance of euthanasia cannot free mankind from sickness and suffering. But it can become a powerful and independent cause of an increase in suicides, and not only suicides motivated by physical suffering." It is hard to imagine what such "philanthropy" will lead to. If today it is legal to artificially cut short the of life of the "terminally ill" even an hour before what is predicted to be their last breath, then tomorrow people will come to the conclusion that it is necessary to artificially end sick people's lives one week before their possible death. Then, a month, a year, ten years… The path of justifying and legalizing medically killing could very quickly lead to people killing their neighbors on the broadest, totalitarian scales. Easy death could begin to be mass-produced. At the Anniversary Council of Bishops, the "Foundations of Social Concepts" was accepted, wherein the Russian Orthodox Church defined its relationship to euthanasia: "Accepting that euthanasia is lawful would lead to the diminishing and distortion of the dignity of the professional duty of a doctor, whose vocation it is to preserve life, and not put an end to it. The 'right to die' could easily turn into a threat to the life of patients who do not have the money to pay for care. Thus, euthanasia is a form of murder or suicide, depending upon whether or not the patient participates in it. In this case, the canon laws regarding suicide are applicable to euthanasia, which consider premeditated suicide, and any aide to another's suicide, to be a serious sin… Furthermore, it must be remembered that the guilt of a person who commits suicide often lies also on the people around him, who were incapable of showing true compassion and mercy. The Church calls us with the Apostle Paul to Bear one another's burdens, and so fulfill the law of Christ (Gal. 6:2). Lord, now lettest thou Thy servant depart in peace, according to Thy word (Lk. 2:29). When we use what has become the everyday expression, "gift of life," we recognize that this gift does not belong to us; that is, we cannot turn it into a sort of capital that we could invest, divide up, or give away as the need arises. The danger of euthanasia consists in the fact that by turning death into just another consumer service, society assumes a power of discretion that does not belong to man—not to the doctor, nor to the patient, nor to those in charge. Human life is sacred and beloved by God, and its "final moment" is the most important moment on our path, a continuation of our dialogue with God, which begins at conception and continues throughout the length of our earthly life. Dying is often the only opportunity to finally say the most important thing, which we were not able to express during our lives, and to allow God to finish saying what He has saved for the very end of the conversation. The moment of physical and psychological exhaustion removes certain coverings or scabs from our soul, and opens the ears of our heart to what we were unable to hear during the course of our lives. During every Orthodox Liturgy, a request is thrice repeated that we be granted a "Christian ending to our lives that is painless, blameless, and peaceful…" "The Orthodox understanding of a blameless end includes the preparation for the moment of death, which is considered to be a spiritually significant stage in man's life. A sick person who is surrounded by Christian care is capable during the final days of his earthly life of experiencing changes wrought through grace, which give him a new understanding of the path he has travelled, and a repentant appearance before eternity. For the dying person's relatives and medical personnel, the patient care they give to the sick becomes an opportunity to serve the Lord Himself, according to the words of the Lord: Inasmuch as ye have done it unto one of the least of these my brethren, ye have done it unto me (Mt. 25:40) ("The Foundation of Social Concepts of the Russian Orthodox Church"). The humility and gratitude with which a person is capable of accepting his own death is already a sign of his trust in God, with which he goes to the judgment of his love for Him. Death during sleep or sudden death has never been considered enviable according to the Orthodox Christian understanding of piety, for this quickness robs a person, and perhaps also God, of the mystery of their final meeting on earth. The meaning of this mystery is the proclamation of God's love as the final expression. This proclamation has its own sound for every dying soul. It is often accompanied by the three Sacraments connected with dying—confession, Unction, and Communion. In all three of these sacraments is the promise of forgiveness, with which a human soul enters the threshold of "the life of the age to come." Metropolitan Anthony of Sourozh tells the story of a young man who spent the night in prayer by the bed of a dying woman. She had never believed in anything other than the material world, and now she was leaving it. "At first, the dying woman lay peacefully. Then, from her words, exclamations, and movements, it became clear to him that she saw something. Judging from her words, she was seeing dark beings; evil powers were crowding at her bed, they were roiling around her, proclaiming that she belonged to them. They are closer to the earth, because they are fallen creatures. Then she turned and said that she saw light, that the darkness pressing in on her from all sides and the dark beings surrounding her were gradually retreating, and she could see bright beings. She cried out to them for mercy. She said, 'I am not yours, but save me!' After a short time, she pronounced, 'I see light'. With these words, 'I see light', she died" (from Life. Sickness. Death). So, does any living person have the right, be it supposedly out of compassion, mercy, or fairness, to block a dying person from the light that might pour out on him and immerse him during the last moments of his life? "Therefore, the Church, remaining true to the fulfilling of God's commandment, Thou shalt not kill (Ex. 20:13), cannot recognize as morally acceptable the spread of current attempts to legalize so-called euthanasia, that is, the intentional killing of the terminally ill (even at their own wish). Sick people's requests to hasten their death are at times coming from a state of depression, which deprives them of the opportunity to correctly assess their situation," states the Church in its "Foundation of Social Concept." An eternity deprived of oneness with God is a place of ceaseless sorrow and unending torment. Suffering here, in the present life, is purifying. The consciousness of the Church has expressed this idea in theological thinking, and in stories of an apocryphal-folklore nature. There is one such story, which tells of a certain monk who was suffering difficult pangs of illness, and felt he could no longer endure them. He cried out to God to shorten his torturous days. Immediately, his guardian angel appeared before his eyes and said, "God has heard your prayers, and you have been granted a choice. For certain sins you committed, you have to go through purifying sufferings for the sake of the Kingdom of Heaven. You can choose between living through three more months of sickness, or three minutes of the torments of hell." The monk decided that even the terrible sufferings of hell for three minutes would be easier than what he was suffering, and said that to the angel. The angel disappeared right then, and inexpressible torments began. It was an experience of terrifying, unbearable loneliness. His soul was scorched by pain and fear. Darkness and shame gripped his soul. It was impossible to bear those sufferings. It seemed that not only years passed in this anguish but decades, even centuries. The monk cried out, "Where is justice? We agreed on three minutes, but God only knows how many years have passed." Then the angel appeared to him again and said, "One minute has passed" (Archpriest Vladislav Sveshnikov, Essays on Christian Ethics). In the Christian view, sickness and death are the result of sin. Man can struggle with illnesses and delay old age and death, but to cancel them is beyond his strength. Sin is cleansed by Christ's suffering, and death gives us the final opportunity to be cleansed. It is the last opportunity for love on earth. Such a death—in repentance and love for the One Who awaits us over the threshold of life—is respected in Orthodoxy as a righteous death. Man is called to his final meeting with God, and it always takes place on the Cross. Even if we take the most extreme example, when a dying body has already lost everything that belonged to it in earthly life and made it alive: consciousness, the ability to move, speak, answer questions, even with a look. Before us lies something like a piece of suffering human flesh, for one can suffer without consciousness, but not without a soul. The soul remains, fully living out its hour of death, open more to God than to people. God can easily enter the soul, without running up against all the innumerable barriers that the person built throughout his life. The Orthodox Church gives the dying the Sacraments, and we do not know in what mysterious, unseen way the last meeting with the Lord will take place in this body, where the soul is still abiding, and the spirit has not yet finished its earthly path. The Lord is always free to waken this body, return it to life; the door must remain open to a miracle of healing, and not be slammed shut. But this is a decision that the Lord makes, just as he may decide to send someone a long life, possibly burdened with a serious illness. The Lord can wait a long time for someone's repentance, but no sooner do the lips utter, "Lord have mercy," than the soul might depart to meet Eternity. Another person's lot may be to remain on earth as the only one left to pray for his relatives, bearing his sorrows to the end… He has His own providence for each one of us, and each of us must fulfill his debt on earth. And at the end of the road, a person is free only to say, Lord, now lettest thou Thy servant depart in peace, according to Thy word. "At the tragic crossroads of life, two ethics always clash; two psychologies: the religious or 'spiritual,' and the everyday, 'fleshly'," said Archbishop John (Shakhovskoy). "And man is free to decide his life's problems in either one spirit or the other. There is no third." Very good text. Greetings from Belgrade.